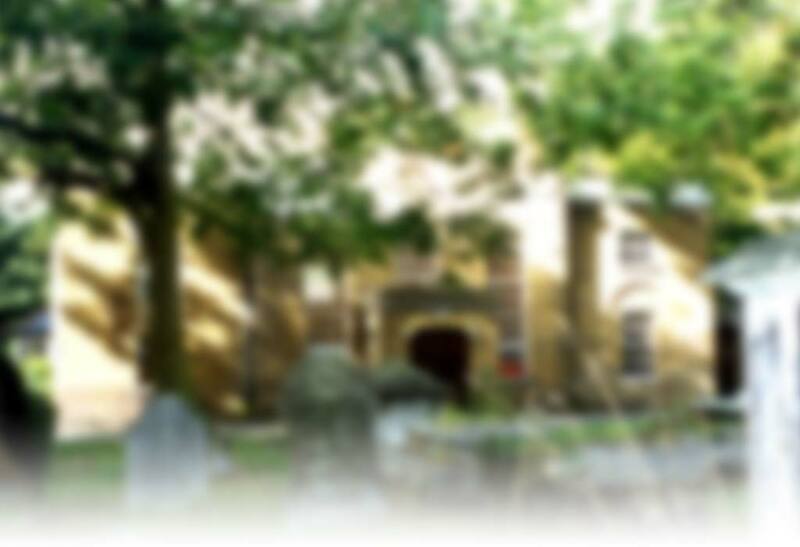 All Saint's Church (the Old Church), Chingford, and St Peter & St Paul's Church have grave yards. Some Monumental Inscriptions and Burial Registers have been transcribed by WFFHS and are available to search on-line. Chingford Mount Cemetery, was opened in 1886 by the Abney Park Cemetery Company. Records are held at the cemetery offices, and a copy of many of the records while in the ownership of Abney Park is available at Waltham Forest Archives. A small batch of Monumental Inscriptions have been transcribed by WFFHS and are searchable on-line. Some cemetery registers are available on Ancestry up to the 1950s. The ancient parish church is the one dedicated to All Saints, commonly known as the Old Church. It was for some time in poor repair, covered in ivy and called the "green" church. In 1844 it was replaced by the new church of St Peter and St Paul on Chingford Green though some services continued to be held at the Old Church. In 1904 the roof colapsed. Miss Louisa Boothby Heathcote wanted the church restored and with the incumbent paid for the work. The church was re-dedicated on 3rd November 1930. This parish includes both the old church and the new church, the dedication having been transferred and the old church reverting to an earlier dedication to All Saints. St Francis church was also in this parish. Chingford expanded later than places to the south and St Edmund's was not built until 1938. St Francis opened in Hawkwood Crescent in December 1951 but had closed by 2003. Chingford was in the Diocese of London until 1846, the Diocese of Rochester until 4th May 1877, the Diocese of St Albans until 23rd Jan 1914, and is now in Diocese of Chelmsford. The Diocesan repository for most of the Chelmsford Diocese records is the Essex Record Office, however registers from the Waltham Forest Deanery are held at the Waltham Forest Archives. The Roman Catholic diocese was the Diocese of Westminster but has been in the Diocese of Brentwood, since it was established on 20th July 1917. The church of Our Lady of Grace & St Teresa of Avila was built in 1930. Chingford Harch Weslyan chapel was built in 1862, and enlarged 1905. Details of Waltham Forest Archives' holdings are listed here. Pigot's, White's, and Kelly's Essex and London postal district directories all provide a description of a developing area from 1839 up to the second world war. Leyton was included in Stratford directories 1887-8, and Walthamstow directories 1889. From 1891 Kelly's published local street directories for Leyton & Leytonstone. Directory of Woodford, Buckhurst Hill, Chingford & Wanstead 1895? Some of these directories are searchable in the Leicester University Historical Durectories Collection. Medical Officer of Health reports for Chingford can be found in Waltham Forest Archives 1897 to 1964. Waltham Forest Medical Officer of Health reports may also be found in Waltham Forest Archives 1965 to 1972. There is patchy coverage on-line in the Wellcome Trust Library from 1897. Registers up to 1970 are available to search at the Essex Record Office and registers for 1918 and 1929 are on-line. Registers from 1970 are held by the Waltham Forest Archives.